November 2015 – Great Venture Surf Co. It has been just over a month since GVS Co. visited the Festival of Female Entrepreneurs in Bristol. This event was organised by Enterprise nation and was an opportunity to hear talks from a mix of different speakers, get advice from companies who offer help to start-ups and to meet other Female entrepreneurs. The image below is of the ‘How to turn your blog into a business’ talk. These woman had created three very different businesses online and it was interesting to hear how they had got there. For example we heard from Sophie Bush who set up My Warehouse Home and she had quite a direct route into the business, as she had come from a publishing background and sounded like she knew exactly the strategy she was going to take and where she wanted to get to. Natasha Courtney Smith however had fallen into it more by accident as it was a by product of her journalism career, but now her blog is a booming business and provides most of her work. We also heard from the lovely lady who set up ‘Too Fat to Run’. Julie created this blog after she had started to run and was faced with a lot of negativity and a lack of support and information for people in a similar situation. She did a talk about hitting major milestones and in fact she was doing one herself by standing on stage and talking to a packed room of people. I had the pleasure of talking with her after and she explained how terrified she was by the whole thing and how she had been training for the past year to get her to that point. It was very motivational to hear about her journey and how successful she has become and I really loved the fact that she inspires people to get active and gives them a positive role model in occasions where might be very few to turn to. The biggest thing that I took out of the day however, was my discussions with the Start Up Loans Company. I had always been quite worried about considering a loan as being in debt is always something I try to stay away from, however after speaking with people from the company and listening to a talk from someone who had received a loan, it definitely mad wit seem a less daunting idea and is something we are going to consider in the future. The other great thing about the Start-up Loans company is that they provide you with a dedicated mentor for a year to help you along the way and to ensure you are doing everything you can to create an effective business. Two people that I also need to give a nod to are Emma Jones, the founder of Enterprise Nation, who is such an approachable person, an absolute font of knowledge and is happy to stand and chat to everyone, no matter how big or small your idea is. The second person is Alison Edgar, who has recently become the Enterprise Nation Champion for the South West and runs a company called Sales Coaching Solutions. She also was more than happy to introduce me to loads of interesting people and it was so useful to speak to someone with so much knowledge! We really had such a great day at this event. It really kicked started a lot of progress for GVS Co. hence why it has taken us so long to write this post! As ever the company keeps progressing and we step ever closer to being able to launch the brand. We are very excited! The London Surf Film Festival! So this is a wee bit overdue, but nonetheless here is our review of the London Surf & Film Festival, Friday 16th @ Genesis Cinema. We had bought ourselves the full Friday evening pass so we could enjoy all the films that were on that evening and of course sample the free beer from Sharps Brewery. Firstly what a wicked cinema the Genesis is, located on the Mile End road next to Stepney Green tube the building itself has a grand entrance hall arching back to the glamour of cinema of years gone by. However housing the Surf film festival this glorious building provided a juxtaposing backdrop to the laid back, rough and ready clientele of the evening. We took our seats after meeting some friends and grabbing beer number one and waited for the first film of the evening. This was to be the European Premiere of Faroes – The Outpost Vol 2 from Director Ben Weiland and Chris Burkard. Faroes – The Outpost Vol 2 was an incredible documentary of harsh yet calming environment of the Faroe Island. The film showed how the environment that for the cast and crew was unpredictably foreign and how the seas provided new challenges with their plummeting temperatures and unsurfed swell. Come the end credits we certainly understood the challenges faced by the crew during filming, but also how that same crew left the Faroes with a new appreciation for not only the conditions, but also those who inhabit it. The second film of the evening was the world premiere of Sean Collins – The Ripple Effect directed by Peter Hamblin. This was brilliant documentary into the extraordinary life of Sean Collins who was renowned for his incredible talents of surf forecasting, but of course was founder of surfline which became the worlds leading surf forecasting broadcast. The film took us through his life, through ups and downs in business and in life, stitched together with heartfelt interviews from close family and friends. 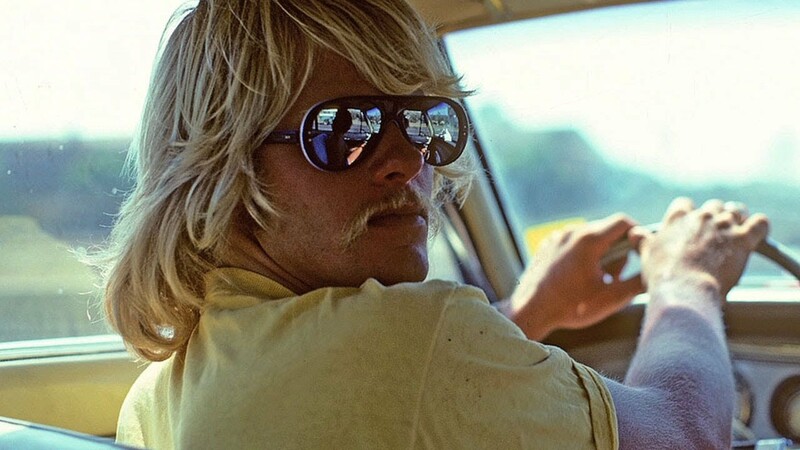 Again a really emotive film, which shed light onto one of the founding members of modern surf. Our final film of the evening was the world premiere of Freezing directed by Rob Lockyear and Jeremy Joyce. Freezing was of a different elk to the films that we had seen before it, it was a comic tale of two friends on an exploration of the harsh cold north in search of that mystical perfect wave. Comedy at every turn Freezing see’s the surfing zeitgeist really showing its worth with friendship, laughs and unfortunate circumstances a plenty. Thoroughly enjoyable movie that doesn’t take itself too seriously! In conclusion a wicked evening with some truly inspiring and heart warming stories. Next time they’re in town we can’t recommend getting a ticket enough.